The first accident tolerant fuel assemblies containing both modified cladding and pellets have been loaded into until 2 of the Vogtle nuclear plant in Georgia, Southern Nuclear and Framatome announced 5 April. Southern Nuclear, the operator of Vogtle, inserted the GAIA lead fuel assemblies, which included chromia-enhanced fuel pellets and chromium-coated zirconium alloy cladding, during the spring refuelling outage, which began on 10 March. 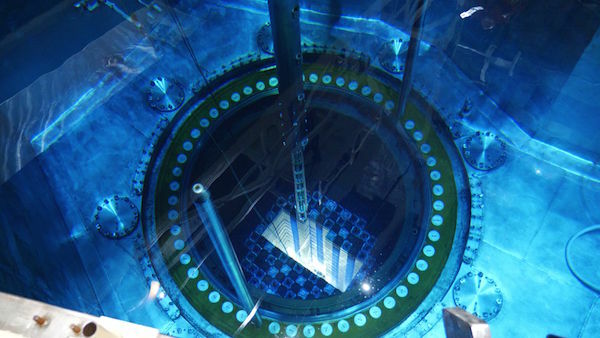 The reactor returned to service on 3 April, and is now operating at full power. Framatome, which is developing accident tolerant fuel as part of its PROtect programme, noted that the chromium coating is more resistant to high-temperature oxidation and reduces hydrogen generation during a loss of coolant accident, while also providing resistance to fretting. It also reduces creep to maintain a coolable geometry and has mechanical properties that allow for more operator response time. The chromia-enhanced fuel pellets have higher density and reduced fission gas release as well as better behaviour during a loss of cooling accident. The reduced pellet-clad interaction (PCI) also better supports power manoeuvring, Framatome said. The fuel design is one of several accident tolerant fuel concepts that are being developed for testing in US reactors. “This is an important milestone for Framatome and the industry,” said Lionel Gaiffe, senior executive vice president of the Fuel Business Unit at Framatome. Three companies, Framatome, Global Nuclear Fuels (GNF) and Westinghouse have received funding from the US Department of Energy (DOE) to test accident tolerant fuel. Southern Nuclear loaded assemblies fabricated by Global Nuclear Fuels including fuel segments into Hatch 1 in 2018. The assemblies included samples of an iron-chromium-aluminium cladding and separate fuelled rods with a coated zirconium cladding, according to GNF. The assemblies loaded at Vogtle 2 were manufactured by Framatome at its Richland plant in 2017. European partners, including France's CEA, EDF and the Goesgen nuclear plant in Switzerland collaborated for several years on aspects of the fuel design, Framatome said. Westinghouse is expecting to load lead test rods of its chromium-coated ATF design, which it calls EnCore, at Byron 2 this spring.